The treatment of process water can have a substantial and serious impact on a facility’s bottom line results in the short term as well as over the life of the equipment. Improperly conditioned boiler feedwater, for example, leads to higher chemical, maintenance and energy costs in the short term. Over the long term, it can lead to premature equipment replacement because of corrosion, scaling and the subsequent loss of production. The quality and reusability of process water is just as important as the other raw materials that are used in production; and the cost and availability of raw water continues to become more of an everyday concern. These factors, along with increasingly tighter restrictions on wastewater discharge, mean that the entire process water handling system must be designed, maintained and run properly. 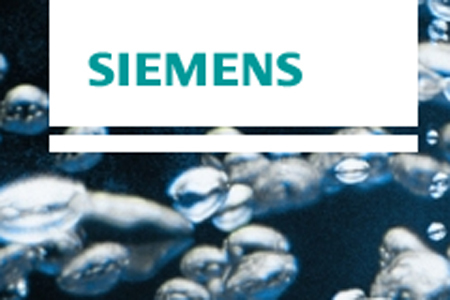 Siemens Water Solutions can help you produce more product, less expensively, with fewer complications and restrictions. Whether it’s oil/water separation, biological treatment, recycle/reuse or in-process treatment, we deliver complete and economical wastewater treatment solutions, backed by a comprehensive range of services, including laboratory and pilot studies; wastewater equipment design and supply and wastewater treatment process evaluations. Our process optimization of downstream facilities results in operational improvements and significant cost savings, and we can help monetize water-related assets, directly reducing operating costs. We also guarantee performance and costs, as well as regulatory compliance within the design parameters of your operation. For more information on applications, click here.